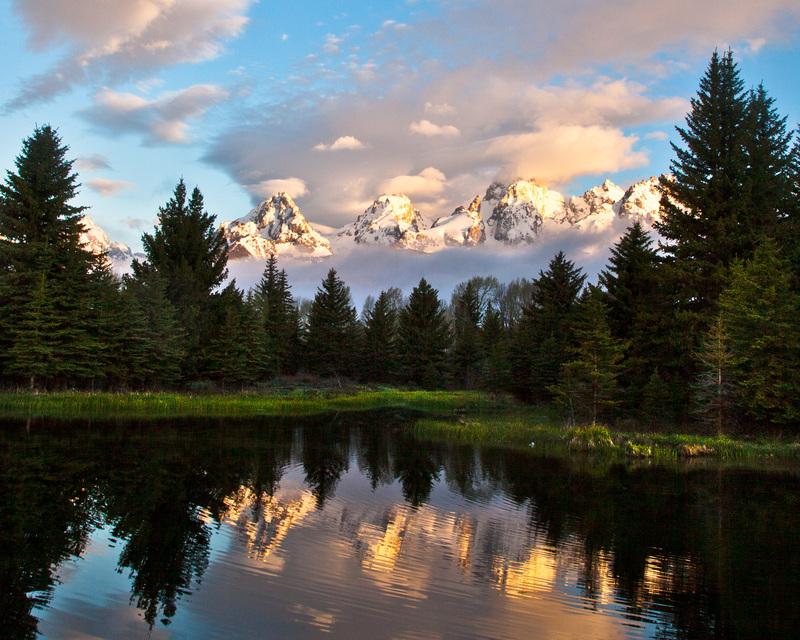 The Grand Teton National Park mountain landscape dominates the park’s skyline. 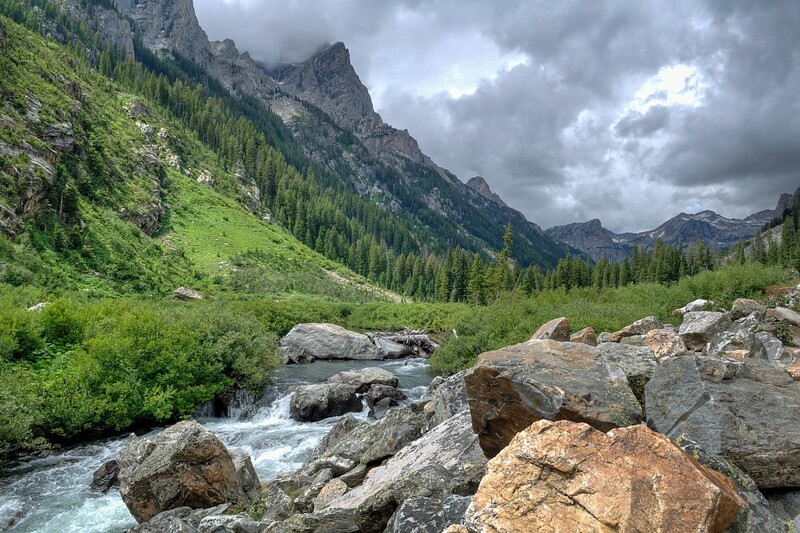 The stunning park is quietly hidden in the Northwestern Wyoming , deeply embedded between ethereal jagged mountain summits and sagebrush valleys. The elevation of the park ranges from 6,400 feet on the valley side and 13,770 feet on the windy granite summit of the majestic Grand Teton. Forests carpet the mountainsides, and wildflowers paint beautiful, color-blanketed meadows. 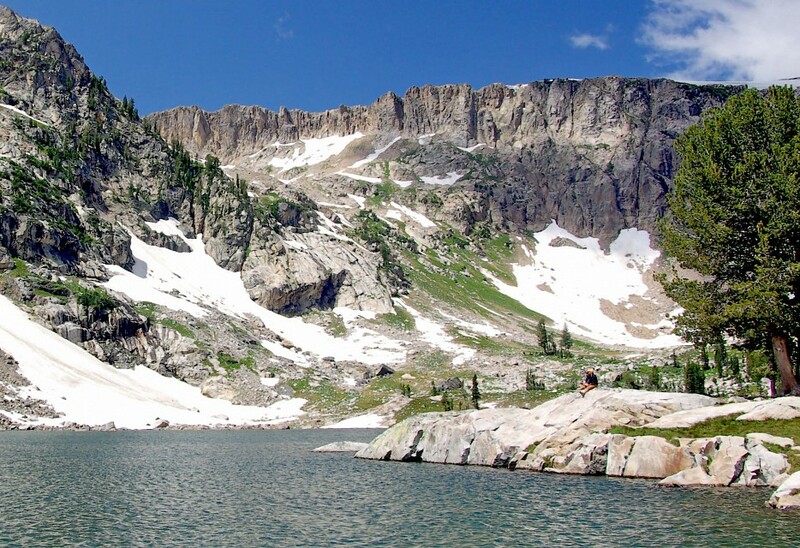 Noisy streams cascade from rocky-edged canyons into blue, crystalline, alpine lakes. In the summer, the landscape is mirrored against the lakes in reflection and awe of such a paradise. The diverse collection of wildlife scatter throughout the Grand Teton Park with bears grabbing fish from streams, an elk herd making ritual passage, and eagles circling for a meal. This natural ecosystem is largely untouched and the iconic backdrop is there for the adventure. 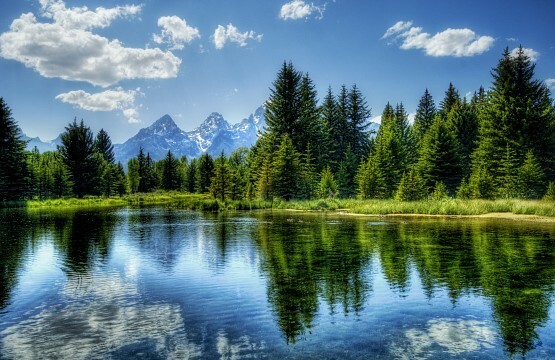 Grand Teton National Park is over 310,000 acres of visual paradise. 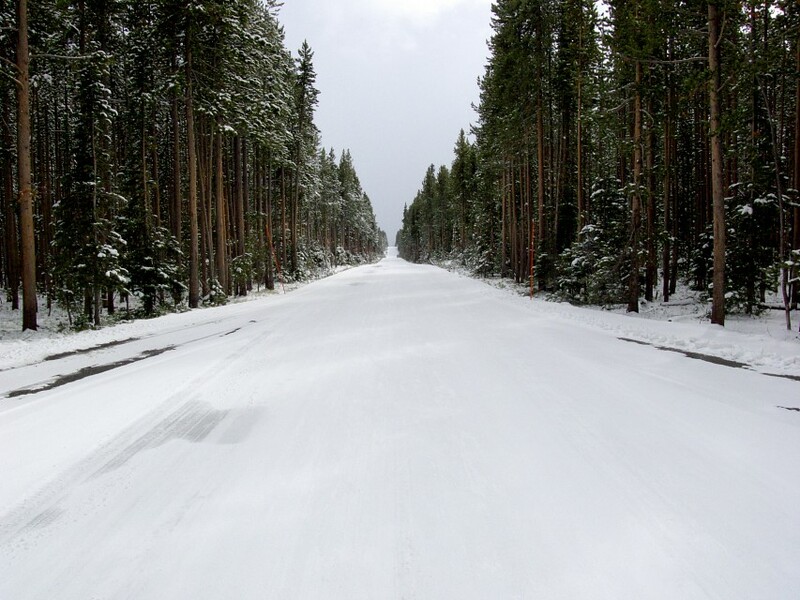 It is part of the Greater Yellowstone Ecosystem with Yellowstone National Park only a 10 miles' drive through Rockefeller Parkway to access entrances of each park. Grand Teton is accurately named after the 40-mile long stretch of the Teton Range, a glorious set of sky-reaching peaks. 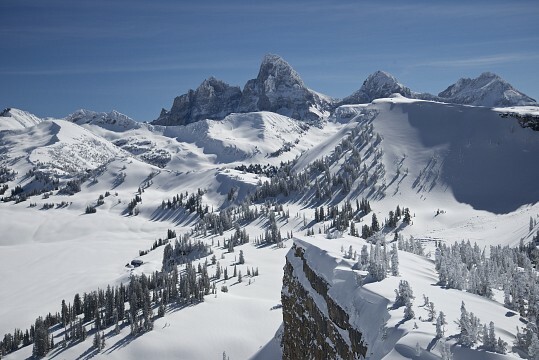 The surreal valley below is Jackson Hole, one of the most popular fishing sites in the northwest states. The National Park Service has set aside these areas as protected areas which constitute around 18,000,000 acres, making the Greater Yellowstone Ecosystem one of the largest intact ecosystems in the world, and a breathtaking journey for all visitors. The first settlers of the Grand Tetons date back to the earliest times of man, around 11,000 years ago, by Paleo Indians who would migrate to Jackson Hole valley during the warm months in a seasonal pursuit of supplies and food. In the beginning of the 1800s, fur trading began, attracting competition for the beaver pelts abundant in this region. The naming of the mountains was created by 19th-century French fur trappers who called this jagged mountain range “les trios Tetons” (“the three teats”). The first white explorers came into contact with an Indian tribe called the Shoshone , who still inhabit outlying regions of the park today. It was only when Yellowstone National Park was being explored did the U.S. Government stumble across the Grand Tetons. The first white settlers held the land from 1880s as the government was slow in public opinion that this land should be protected. In 1929, the Grand Teton National Park was established. 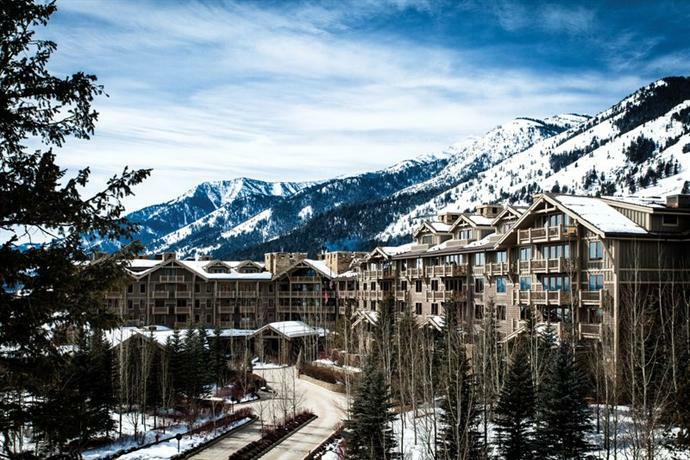 John D. Rockefeller Jr. , the late conservationist and philanthropist, began buying parts of the Jackson Hole valley from private owners in 1930s and committed the land to preservation. He made several contributions to the Grand Teton National Park, even at the refusal of the government to conserve this wilderness region. His significance is remembered with the honorary Rockefeller Parkway which connect Grand Teton to Yellowstone National Park. In 1972, congress created a 24,000-acre memorial to Rockefeller to celebrate his generosity. The parkway is a natural link for the parks and features similar characteristics of both parks. The Teton Range gently tapers at its northern ridge, while the mighty Yellowstone flows with the twisted Snake River across scattered hills and rocky ridges. Jackson Hole National Monument was actualized in late 1943, setting aside the valley as a conservation site; then abolished in 1950 and added as part of the park. The twisted Snake River flows throughout Jackson Hole valley, and 15 mile-long Jackson Lake receives the main stem of this famous river. 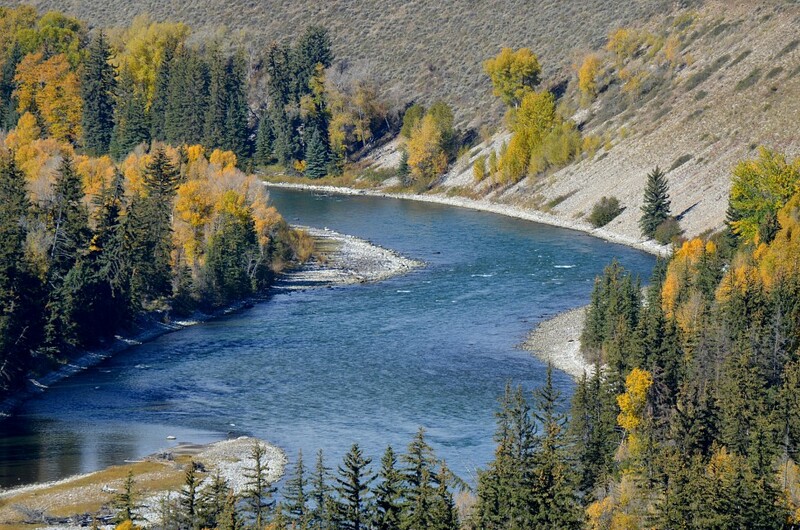 The Snake River begins its winding journey in the southern part of Yellowstone National Park and winds past the majestic Teton Range into Idaho. Cutthroat trout and salmon call the Snake River home, which makes this area prime fishing for outdoor enthusiasts. The braided sagebrush and wetland valley of Jackson Hole is home to moose, elk; bears, deer; antelope, beavers; and coyotes. The wetlands of the Snake River and many lakes support trumpeter swans, sand hill cranes, Canadian geese, and a variety of different species of ducks. Jackson Hole Valley is easily recognized at the base of the Grand Tetons by a broad valley of forested buttes and groves of aspen trees. The peaks of the Teton Range are imposing against the valley of Jackson Hole, as they regally stand over 7,000 feet above the valley floor. They create a bold statement to viewers of this range, remaining snow-tipped year round. They surpass the steep coniferous forests and alpine meadows below into naked granite pinnacles. These mountains are nothing short of amazing with blue and white glaciers in heights unimaginable to the naked eye. 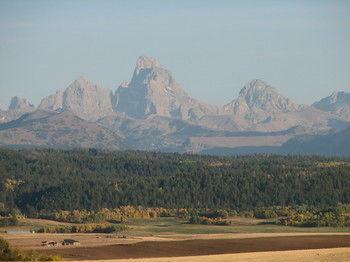 The heart of the range is formed by the Grand, Middle, and South Tetons. Their neighbors, Mount Owen, Mount Moran, and Teewinot Mountain are just as spectacular. 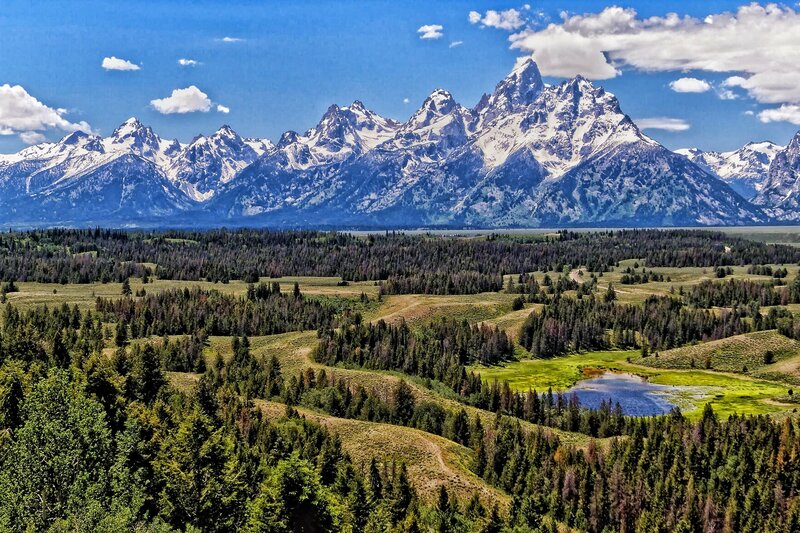 The Teton Mountain Range was formed about 13 million years ago when two blocks of the Earth’s crust shifted along a fault line; one tilting up while the other tilted down. The Tetons remain a fault block mountain, measuring movement of over 30,000 feet from the subsidence of the valley below. A dozen small glaciers persist in the higher elevations of these remarkable mountain peaks. In the spring, the same species of flora and fauna from prehistoric times can be found here. There are more than a 1,000 different kinds of vascular plants throughout this region. Wildflowers bloom in brilliant colors across the valley and up the mountainside. Flowers like the sharp Red Indian Paintbrush, which can only be found in high elevation settings. Tightly set along the steep foot of the mountains are a string of blue, crystal-like lakes which is home to native Trumpeter swans who live quietly year round, gracefully atop many of the valley lakes. 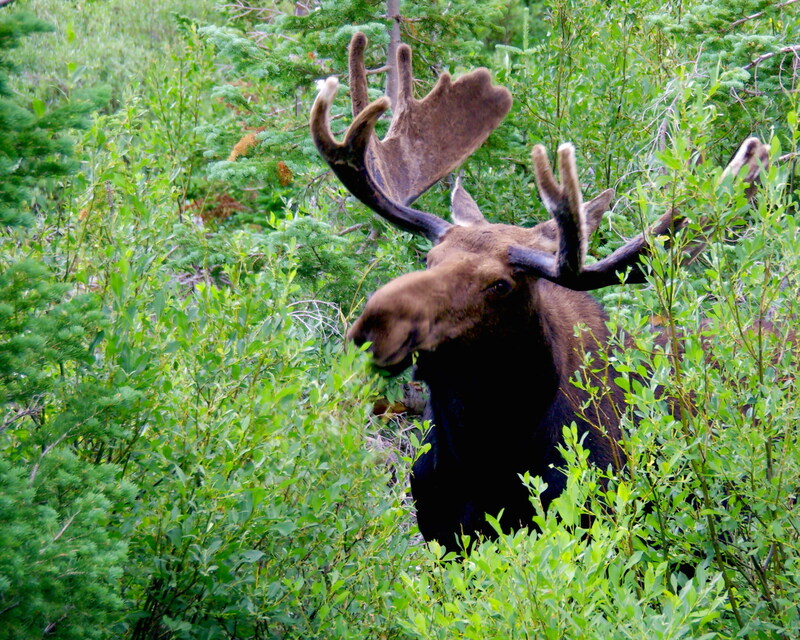 Moose trod clumsily in the Snake River along with the frequent bears to do their own fishing here. 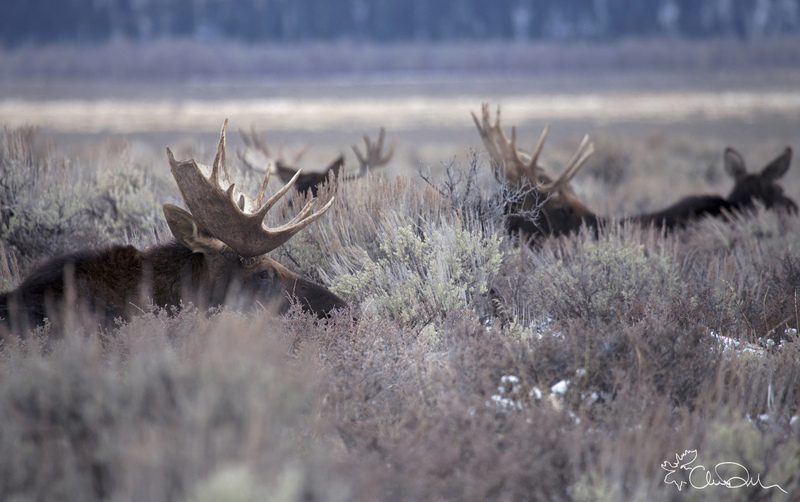 Elk herds are abundant, often mixing with antelope and deer in the meadows of Jackson Hole. More than a dozen species of mammals call the Grand Tetons home, and over 300 species of birds nest peacefully throughout. It is a pristine, wilderness ecosystem untouched and well-preserved. In recent years due to some human-induce and natural changes in the ecosystem, enhanced protection has been set to save some species of the native fish and the threatened white bark pine trees. The Grand Teton National Park offers an array of different activities within the area. The most popular activities include camping, fishing, river float trips, and hiking. A road winds through out the park, but to experience the serene awe is to take the shorter trails provided in abundance by the National Park Service. The park is world-renown for trout fishing and one of the few places to catch fine-spotted cutthroat trout. There are several marinas, guided fishing trips, and lake cruises available to indulge in this popular sport. Family-friendly adventures are readily available in single activities or in packages, with recreation such as horseback riding, boating, and even authentic dude ranches. The Grand Teton National Park also provides canoe rentals and a wide palette of kayaking opportunities. 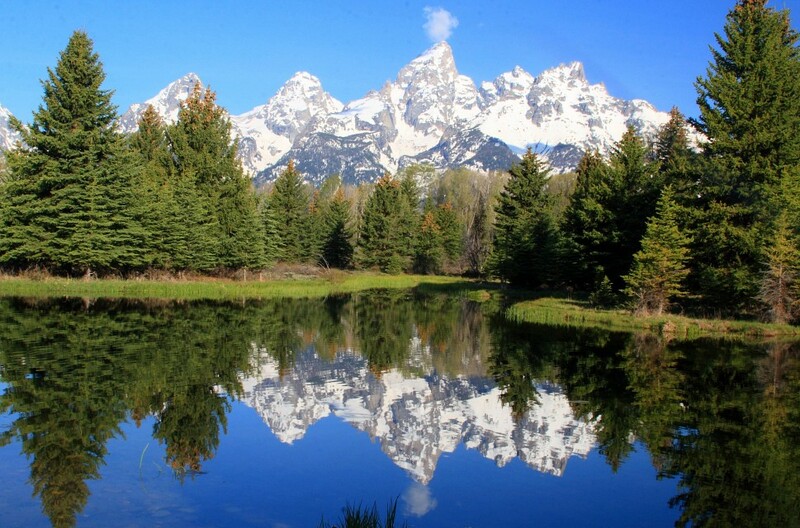 The Grand Teton National Park is loved by outdoor enthusiasts. It remains a popular destination for fishing, hiking, mountaineering, and many other forms of recreation. There are more than 1,000 campsites available with over 200 miles of hiking trails providing access to backcountry camping areas. Many options for lodges and motels are available. 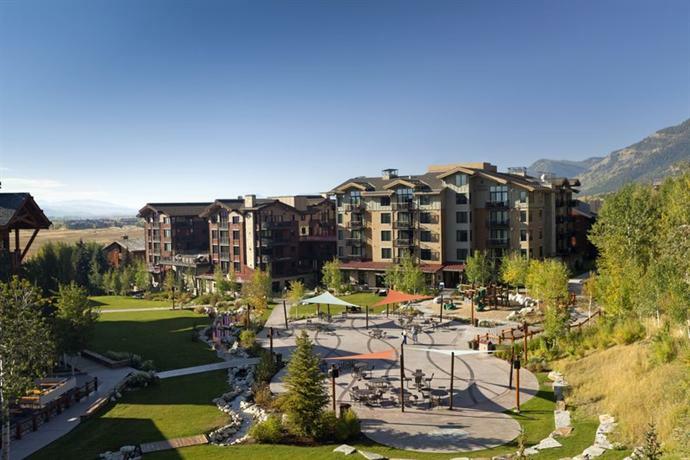 Jackson Lake Lodge is the largest eco-friendly resort around with 60-foot windows providing a beautiful panoramic view of the Grand Teton Range and Jackson Lake. There are hundreds of rooms and many cottages available to wake up to the most photographed mountains in North America. It is a thrilling sight, and almost seems too surreal. 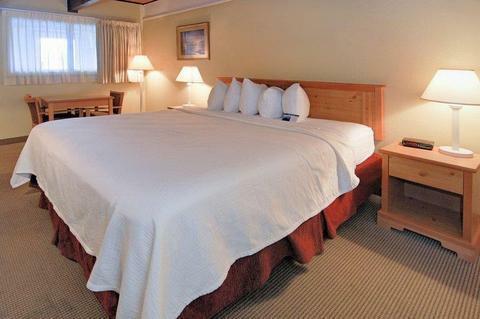 Jackson Lake Lodge boasts of a busy season offering a wide variety of activities and a heated swimming pool. 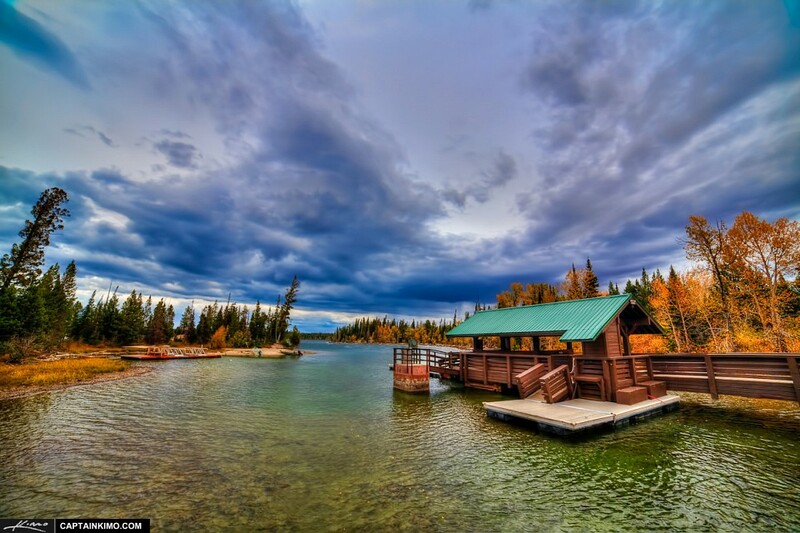 Colter Bay Village is also set on Jackson Lake and is an eco-friendly lodge with bustling adventures. 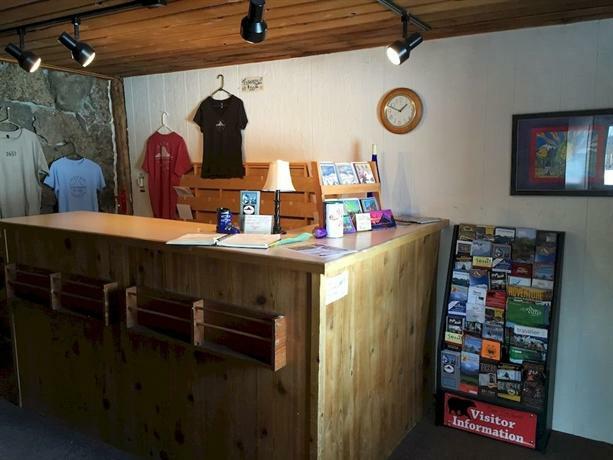 At Colter Bay Village Lodging, a general store and laundry facilities are available to provide a family-friendly environment. There are charming little cabins set against the foot of the vast mountains behind the lodge. 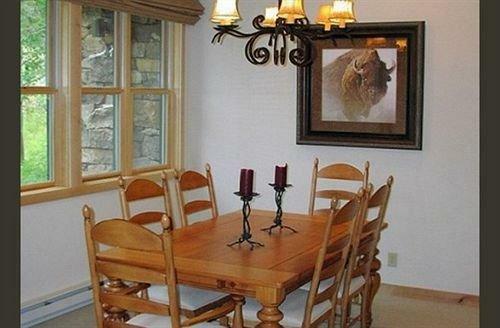 This lodge is a hub for outdoor activities. 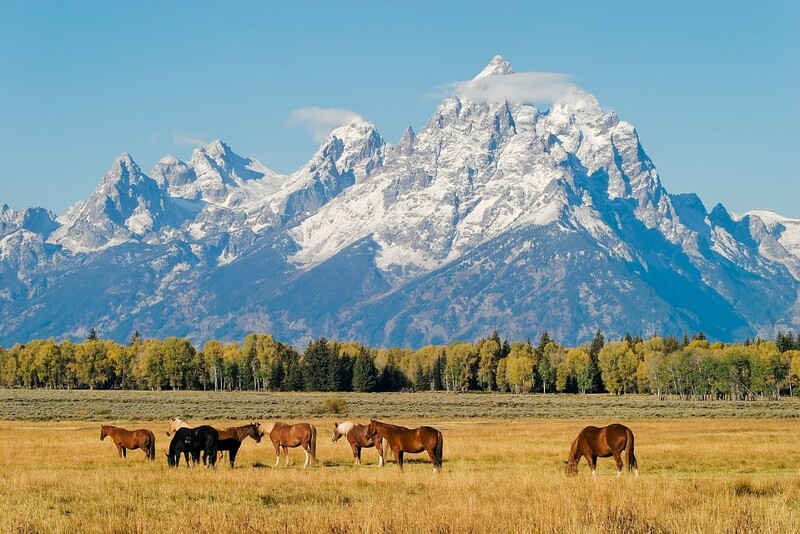 Located 12 miles north of Jackson, Wyoming, is Grand Teton National Park. The easiest way to access the park is on Highways 26, 89, and 191. Turn left at Moose Junction to reach the visitor center and the scenic Teton Park Road. 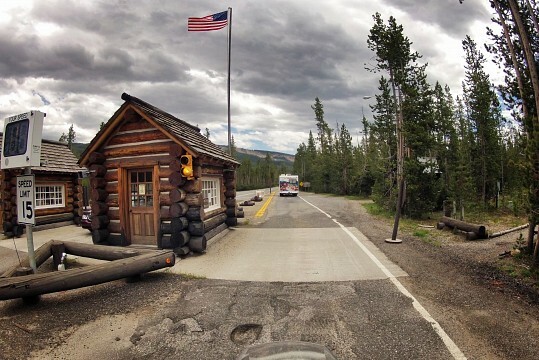 An entry fee is required at Moose Junction entrance. The Grand Teton National Park remains a wilderness mystery. The jaw-dropping mountains beckon photographers, climbers, and fish enthusiasts. As a part of the Greater Yellowstone Ecosystem and with Yellowstone National Park only 10 miles away, this western experience draws thousands a year. Most will return. This region is that beautiful and soul refreshing. It is a wilderness created for inspiration and exploration, never disappointing anyone who arrives for the experience.